It was a Stereotactic Core Needle Biopsy - my first one, and hopefully my last. Stereotactic, meaning the accurate positioning of a probe inside a specific part of the body by using three-dimensional images or diagrams. It is less invasive than scalpel surgery, and reportedly more accurate at finding the precise location for biopsies. My husband (David) and our daughter (EL) went with me to my appointment. Dr. B recognized us from my previous surgeries with him. He is such a kind, caring man. He sat down in the room with us and asked, "Are you scared?" He asked me why, and I said, "You did a good job on my other side, so I trust you." It was 6 years ago when Dr. B performed a lumpectomy on my right side, followed by a mastectomy, and 3 different port-related surgeries. I trusted him then, and I had no reason not to trust him this time around. Although, I was still praying for God to guide his hands, and that the results would be accurate. First, a few pictures were taken, similar to a mammogram but not as tight. Then, once they had their mark in sight, I was numbed up with Lidocaine. It apparently numbed me up on the outer part. However, when it came time for them to insert the biopsy device, I definitely felt that. They said I would hear a pop, and I sure did! It reminded me of a harpoon, and left me with a sizable ache. Shortly after that, they asked if I needed more Lidocaine, and I said yes. As they began taking samples, I still felt some mild pain, but it was at least tolerable. I'm guessing they took around 5 or 6 samples. Then, they inserted a small titanium marker that will remain in place to keep track of where the biopsy had been taken. I bled a lot when they were finished. It's possible the needle hit a vein when it went in. But the bleeding eventually slowed down enough to put Steri-strips and a band-aid on the puncture wound. 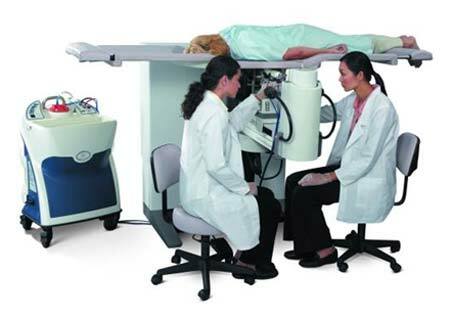 After that, a couple more mammogram pictures were taken, and I was sent on my way. The whole thing was done in less than an hour. I hugged David as he left for work, and gave him an extra squeeze to say, "Thankyou for coming." I love that man. He took time out of his busy schedule to be with me for this. A friend of ours had agreed to come with me and to sit with EL while I was having the procedure; but David said he wanted to be there, so he came instead. After the appointment I was okay to drive, so EL and I went shopping at Walmart. It helped keep my mind off of "things." Waiting for biopsy results is never easy. I'm hoping and praying for good results, of course. But, no matter what they are, I will choose to keep TRUSTING in my Lord. I have been through too much already NOT to place my trust in Him. 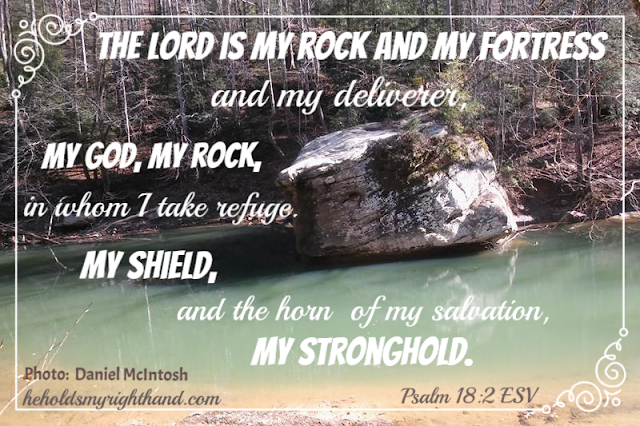 He is my God, and my rock. If all goes as planned, I should have the results in the next day or two.